Why Work with a Fiduciary Financial Advisor? The difference you need to know. Financial advisors fall into two camps –– fiduciaries and non-fiduciaries. It’s important to know the difference when choosing a financial advisor, whatever your age, income level or wealth. Generally under current laws and regulations, a fiduciary is held to a more strict “fiduciary standard” versus the less strict “suitability standard” for non-fiduciaries. In a nutshell, fiduciary financial advisors are required by law to put their clients’ interests ahead of their own. That may sound obvious, but it’s not necessarily the case. By example, if an advisor favors or otherwise is influenced to engage his or her clients in investments that may benefit the interests and compensation of the advisor more so than the client... he or she may not be acting as a fiduciary. A fiduciary is a person or legal entity (bank or brokerage firm) that has the power to act on behalf of another (client, beneficiary, principal) in situations requiring total trust, good faith and honesty. The fiduciary standard means a fiduciary financial advisor must by law put client interests first and foremost. The advisor cannot exploit his or her position of trust and confidence for personal gain at the expense of the client. Fiduciaries have a “duty to care”. This means they are expected to continually monitor a client’s investments and financial situation and adhere to best practices of conduct for the duration of the advisor/client relationship. By comparison, a non-fiduciary financial advisor is held only to the suitability standard, which does not require the advisor to recommend the best possible investments for the client’s goals. A recommended investment needs only to be “suitable”, which means the advisor is allowed to choose investments that may or may not be totally appropriate for client goals and/or reward the advisor with fees or compensation that may differ by the investments chosen. Should you expect every financial advisor to act as a fiduciary? If you have questions about working with a financial fiduciary advisor, give us a call. We’re happy to share more details with you at any time. At Lenox, we work with clients to help guide them in every aspect of their financial life –– from setting financial priorities and optimizing income, to eliminating debt, establishing budgets, funding education, retirement planning, and working through financial hurdles –– the entire realm of wealth creation, wealth building, and wealth management. We start with you, not your portfolio to help you FUND A LIFE YOU LOVE™. They are your inherent gifts and strengths. Here’s why. — Unique Ability® Creating the Life You Want, by Catherine Nomura and Julia Waller with Shannon Waller, based on a concept by Dan Sullivan. We begin with this excerpt because it captures what we at Lenox believe can drive both the greatest wealth and happiness for people of all ages and income levels. Simply put, a person’s greatest assets are not a dollar sign or their net worth but, instead, their inherent gifts and strengths. Money will come and go. Careers can flourish or fail. Luck may be on your side one day and not the next. Most sustainable in life are the natural talents people are born with, what they’re really good at, what they like doing most, and what makes them happiest. The challenge for most people is to be willing to recognize their inherent gifts and strengths and to let them guide their life. Think about it. Based on the four Unique Ability characteristics noted above, you probably already know your own Unique Ability. What if your life could be built around developing it, excelling at it, making a living from it (perhaps beyond your wildest dreams), and at the same time loving what you do each and every day? Unfortunately, because people can be so deeply focused on building wealth, reaching titles and financial benchmarks others have for them, they forego their Unique Ability and assume a role or career they’re “supposed” to do –– one that is true neither to their heart nor their inherent strengths. Too often, people are conditioned from an early age whether by family, society or culture to fit in and follow others’ expectations rather than pursue their own aspirations. At Lenox, we believe you can have it all. The Lenox Mindset is to grow, preserve and manage wealth in today's world starting with your strongest asset... you. We help you discover your strengths and how you can put them to work to create and build wealth. We know that wealth and happiness are simultaneously attainable. We’d love to tell you more about how we help to translate your personal strengths into financial strength. It’s what we mean by FUND A LIFE YOU LOVE®. Give us a call or email us to schedule a personal, no-commitment consultation. Snowbird Alert - Thinking About Retiring to Florida? Thinking about retiring to Florida? Now may be the right time. It used to be that many corporate executives would work for 30 years in Cincinnati, retire to Florida, and in doing so, be able to avoid paying the dreaded Ohio state tax on their retirement plans and stock options. It was a huge planning opportunity, which could often save them several hundred thousand dollars in state taxes. About 10 years ago, Ohio decided to rewrite the rules. They argued that if you earned your stock option in Ohio, then you should pay Ohio tax on the option. They then would calculate the Ohio tax due as the difference between the grant price of the stock option and the fair market value on the day you left Ohio. So as an example, let’s say John Doe worked for P&G in Cincinnati for 30 years and then moved to Florida on January 1, 2018. Based on the stock price when he left, he would have “locked in” a stock price of $92. This means his next set of options due February 2019 would have Ohio tax due based on the difference of his $48 grant price and $92 (the price when he left Ohio), or $44. Since January, P&G’s stock price has dropped to the low 70’s. Meaning if John Doe had decided to wait and move at the end of May, he could have locked in a price around $74. So, the state tax due on that same 2019 option would be the difference of his $48 grant price and $74, or $18. So, if you have employer stock options and are seriously looking at retiring in Florida, you should run the numbers and see if this could make sense for you. Lenox is always happy to take a look and provide a second opinion. At Lenox, we applaud women and their financial thought processes. We encourage women to feel confident in what makes their thinking different than that of men, and to appreciate and continue to practice the highly commendable money habits that make their opinion so valuable. Check out these smart ways to age in place. Is this you? Your aging parent(s) want to remain in the house where they’ve lived for many years and where they are comfortable with memories, friends and neighbors. No moving to a senior facility for them! You want to be supportive but are worried they might fall, forget to take their medicines, not eat properly, try to do chores beyond their ability, and on and on. According to “The United States of Aging Survey” (AARP June, 2012), approximately 90% of seniors (age 60+) plan to continue living in their current homes for the next five to 10 years of their life. Of these individuals, 85% are confident in their ability to do so without making significant modifications to their homes. The truth is, aging in place can be enormously healthy mentally, physically and psychologically for many older adults. Sometimes, all it takes is making a few modifications to their living spaces to help keep seniors independent, safe and secure in their own home. Here’s are some of the many ideas, tools, technologies and products specifically for older adults to help them age in place. Purchase a solid, rubber-footed step stool to reach higher areas and climb only to the first step. Ask for help to reach the highest items. For stovetop cooking, set a countertop or other type of alarm for each time you’ll need to tend to the pan or skillet again. Do not leave the kitchen without doing so. It can be easy to get distracted and forget you left something on the stove. Get rid of electrical cords that can be a trip hazard. Try cordless lamps instead. Keep several flashlights throughout the house –– in the kitchen, bedside, in the bathroom, in the garage, on a porch, in the car, in the basement, and even a small flashlight for your purse, pocket or keychain. You’ll want easy access to light should there be a sudden loss of electricity. Look into MedMinder –– a subscriber plan. This digital pill dispenser flashes or unlocks at the time preprogrammed by a family member or caregiver. The box beeps and if it’s not accessed, the voice of a family member or caregiver issues a reminder. If still no response, the senior gets a call and their contact person also is notified. CareZone is a no-cost phone app that buzzes when it’s time to take medications, leave for appointments, refill prescriptions. CareZone also stores your complete list of medications via a photo you take of all prescription bottles. Reminder Rosie is a talking clock that lets your record up to 25 reminders at a time in the voice of a family member or caregiver. Choose a monitoring company, such as MobileHelp, Great Call, First Alert and others. Look into systems that work both at home and wherever the older adult may be. Look into systems that alert you as to the activity level of the senior. BeClose and Lively are two options that will alert you to any unusual activity in the home –– such as if your loved one is wandering or leaving the house unexpectedly, or if lights have not been turned on by a certain time in the morning. At Lenox, as part of our Wealth Impact services, we work closely with seniors and with families to help make the later years of life as enjoyable, happy and easy as possible. If we can help you or your loved ones, just ask us about our EMBRACE program. We have a Certified Senior Advisor® (CSA®) on our staff who will be happy to share more. The opportunity to share one’s wealth is often described as the most meaningful of moments in life. We have experience in helping to make your wealth work for you and the world around you. Trust us to thoroughly assess organizations, causes and institutions that interest you, and assure that your charitable gifting is facilitated professionally, accurately and to the advantage of all concerned. We believe in community and giving back, knowing that this is just one way to make the world a better place for all of us. Visit our 'Lenox Gives Back' page to see the non-profits we have supported over the years. If you’re ready to discuss financial, business, career and life planning that will allow you to Fund a Life You Love®, we’d love to tell you more. Let’s talk. It’s your tomorrow. Call us for a complimentary 1-hour review or a quick 15-minute conversation to see how we can help. Call 513.618.7080 or visit www.lenoxwealth.com to Fund a Life You Love. Patience is not only a virtue; it can save you a lot of money when it comes to shopping. Smart shoppers know that waiting pays off, especially when making major purchases. That’s because many items are deeply discounted at certain times of the year. Plan accordingly and the savings are yours to enjoy. Here’s our list of traditional times to get the best deals, but be sure to check for specials year-round. And, download one or more of today’s many shopping apps so that you can price compare in real-time. At Lenox, we help guide you to smart money moves every month and across every part of life. We align life planning, career planning and personal financial planning to help you attain what matters most to you. It’s one more way we help you FUND A LIFE YOU LOVE™. If you’re ready to discuss financial, career and life planning that will allow you to Fund a Life You Love®, we’d love to tell you more. Let’s talk. It’s your tomorrow. Call us for a complimentary 1-hour review. Call 513.618.7080 or visit www.lenoxwealth.com to Fund a Life You Love. Are you facing changes in your life? Things are moving along just fine with your career and then one day, forces beyond your control begin to paint a future that looks very different than what you had anticipated. Happens all the time in the corporate world –– companies merge, downsize or are purchased, or hefty competition changes the dynamics of the marketplace and the once predictable career path is no longer in view. Your comfort zone is replaced with changes yet to be determined. Career uncertainty also happens to the most seasoned of entrepreneurs. The best-laid plans and most solidly-financed ideas can fail quickly when a sharp downturn in the economy, supply chain issues, loss of talent, or any of dozens of other potential issues rear their head. Change is never easy. In fact, it’s one of the most difficult things we face as human beings. But when it’s inevitable, you can either deny it and risk being the last to leave the sinking ship, or you can accept it and look at it as your reason to uncover opportunities you never would have explored otherwise. Think of it as the kick in the pants that takes you out of your comfort zone to a much better place going forward. “I lived in comfort until one day a mentor pushed me. I didn’t know he was my mentor at the time. He was just my friend and he pushed me to dream bigger dreams. He pushed me to want more out of life. To go after the big fish. Whether unexpected change is already in front of you or lurking around the corner, here are three simple steps that will help you take charge of your future. Accept the change; don’t fight it or drown in self-pity. Negative energy is not only a waste of time, it’s an enormous drain on your energy. Avoid commiserating with the naysayers or letting “crowd speak” drive you to a numbing sense of inertia. Take immediate steps to position yourself for a better tomorrow. Get busy networking and exploring new opportunities. Reconnect with past associates. Look into courses or seminars that will enhance your skills. Make a list of ways to improve your marketability and tackle them with commitment. Be ready to make a decision when the right opportunity comes along. Indecisiveness is a decision to not make a decision. This is typically fueled by the fear of failure. Instead, stay positive. Low self-esteem and succumbing to circumstances is why so many people make poor decisions. At Lenox, we assist our clients in all aspects of their financial life –– career planning through career changes, career coaching, life coaching and more –– not just in managing their portfolio. Looking at the bigger picture is one more way we help you Fund A Life You Love™. If you’re ready to discuss financial, career and life planning that will allow you to Fund a Life You Love®, we’d love to tell you more. Let’s talk. It’s your tomorrow. Companies Are Growing and Hiring - Is Now the Time to Make the Move? 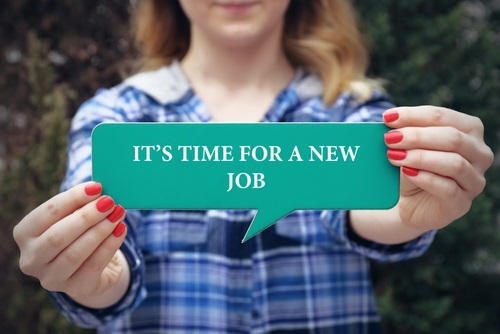 Is now the time to make a career move? Things are looking up. Companies are expanding, building new facilities, bringing jobs back into the USA and hiring for new ones. Opportunities are at an energizing high across many industries. While no one can make a long-term forecast with any accuracy, optimism is on a roll and picking up speed. Where do you stand in this current environment? If you’re thrilled with your present career and growth path, then you may not care to read any further. If not, as a growing number of companies are looking for new talent, are you positioning yourself to take advantage of the roles to be filled? Is now the time to make the career move you’ve been contemplating for months or years? At a minimum, is now the right time to seriously explore what’s out there? Same goes if you’re an entrepreneur or if you’ve always dreamed of being one. Is now the time to expand your business to reach its broader potential? Or, is now the time to seriously look at breaking free from the corporate world to launch your own business? Change is never easy. Risk is always part of life. But, considering that most people are staying in the workforce well into their 70s and beyond (whether by choice or financial need), why not be happy and position yourself to do the work you love to do? At Lenox, we work hard not only to help our clients FUND A LIFE YOU LOVE but also to Live A Life You Love. That’s why career advice is often part of what we bring to the table. We’re the sounding board, neutral third party and understanding minds that provide both pragmatic and empathetic guidance. We’d be delighted to help you think about, envision, plan and prepare for the career move that can lead to your greatest personal and financial happiness. If you’re ready to discuss financial planning and life planning that will allow you to Fund a Life You Love®, we’d love to tell you more. Let’s talk. It’s your tomorrow. Get beyond the limitations. Get busy doing what you love. “Sure, I’d love to but I can’t afford it.” Love to what? Move to another city? Change careers? Get married? Have a family? Start your own business? Travel? Retire? Is money really the limitation or is it something else? Oftentimes, we get in our own way when it comes to doing what we really want to do in life, because we use not having enough money as our excuse. For a minute, stop and think... what if money were not a hindrance, what would you do with your life? 1. Make a list. Make two lists. Get down on paper what matters most to you. If married or involved with someone, have your significant other do the same. Compare your lists. Are you on the same page? This exercise is not only eye opening in understanding yourself and each other, but it helps you align your financial plan with your life plan. At Lenox, our Honest Conversation® tool makes this exercise both easy and enjoyable. Our clients rave about it. We’d love to show you how it works and give you a no-commitment test drive. Ask the most successful, life-embracing people you know and almost all will tell you they had or still have people in their life who have given them the encouragement, motivation and support to try, do and accomplish what they could not have done on their own. It might be a parent, friend, teacher, clergyman, or even an author they’ve never met. Having been on the receiving end, we know firsthand at Lenox the benefits of mentoring and as such, we uniquely offer life coaching to our clients, seeing it as an essential to sound financial guidance, budgeting, and wealth creation. There’s no shortage of books, articles and websites whose goal is to inspire us to optimize our life. Don’t knock these resources if you haven’t tried them. We have an exhaustive library at Lenox of books and materials that we keep adding to on a weekly basis –- what we believe is the best thinking from the best minds in the financial planning and life planning arena for people of all ages and income levels. Watch for our Lenox Book List to be revealed soon. Or, send us your email and we’ll send you the list. 4. Think ahead. Plan backward. Where do you want to be in three years, five years, 10 years? What do you want to accomplish? How are you going to get there? Time’s ticking by. Start today to prioritize your to-do’s, figure out the cost and time commitment for each, and design your life plan and financial plan around them. We help our clients do this day in and day out. It’s what we mean when we say we help you Fund A Life You Love®. If it sounds like we’re your champions, we are. You deserve financial planning that helps you live the best life you can with financial comfort and peace of mind. Time to rethink some of life’s major financial decisions? There’s a lot to learn and to understand about the provisions within the recently-passed 2017 Tax Reform. One thing for sure is that the new tax law could change how you think about the financial decisions you make whatever your stage of life –– everything from what job you take, if and when you change careers, whether or not you get married and when, if you buy a home or rent, if you move or remodel your existing home, what schools your kids attend, if you go back to school and when, if you take a vacation and where you travel, if and when you retire, the size and timing of charitable contributions, and the list goes on and on. Here’s a good place to begin –– 5 ways the new tax reform might affect you. 1. You are among the projected 80% of taxpayers who will receive a tax cut. 2. You have dependents (children) eligible for the Child Tax Credit. In the new law, the child tax credit doubles from $1,000 to $2,000 per child, with $1,400 of that amount refundable (indexed to inflation). 3. You are a student or an educator. Student loan interest and graduate school tuition waivers are maintained under the new law, as are deductions for educator expenses. 4. You may not itemize anymore on your taxes anymore. The standard deduction doubles with the new tax bill and things you typically itemized may get reduced. The Tax Policy Center estimates that the number of people who can itemize will drop from 37 million to 16 million (a drop of 57%). For those who don’t itemize, this will eliminate the tax deduction for state/local taxes, medical expenses, donations to charity, and home mortgage interest. It will be even more important to work with your CPA / financial advisor to determine how to best navigate these changes. 5. Your business is organized as an S corporation, partnership, LLC, or sole proprietorship. Among our nation’s job creators, your corporate tax rate is now lowered to 21% from 35%. The tax reform package also includes a first-ever 20% tax deduction that applies to the first $315,000 of joint income earned by businesses organized as an S corporation, partnership, LLC or sole proprietorship. Don’t go it alone. Get the help of a financial advisor to help you plan for the future. You may think you don’t qualify or can’t afford professional financial advice. Truth is, you can’t afford not to get professional guidance. Financial advisors not only complement your tax advisor, they also know the ins and outs of 401Ks, IRAs, funding education, buying a house or car, retirement savings, and investment strategies. They help to guide you beyond financial hurdles and challenges whatever your stage of life, income or net worth. At Lenox, we call it helping you Fund A Life You Love™. Facts presented have been obtained from sources believed to be reliable. However, Lenox cannot guarantee the accuracy or completeness of such information. Lenox does not provide tax or legal advice, and nothing contained herein should be taken as legal or accounting advice. Individuals should seek such advice based on their own particular circumstances from a qualified tax or legal adviser.